I have a new cme25p mount. 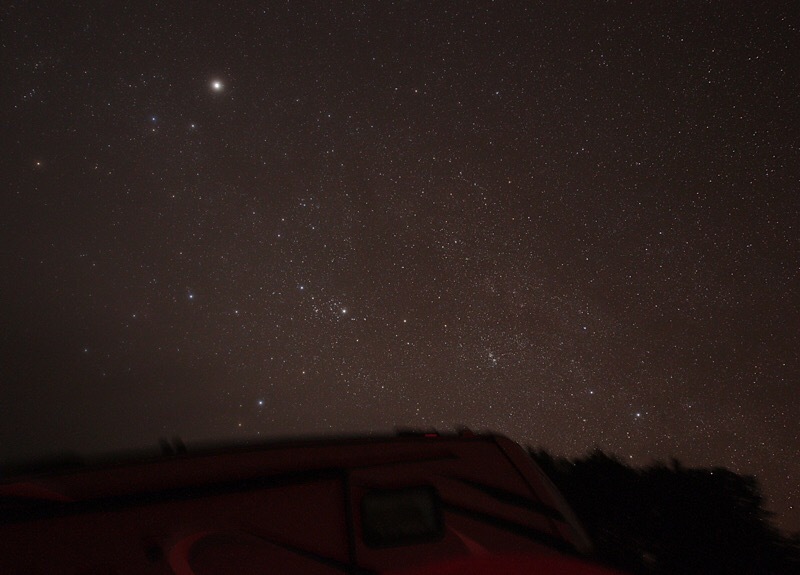 Since I’ve had several good observing nights in a row I’ve been able to spend a lot of consistent time with it. 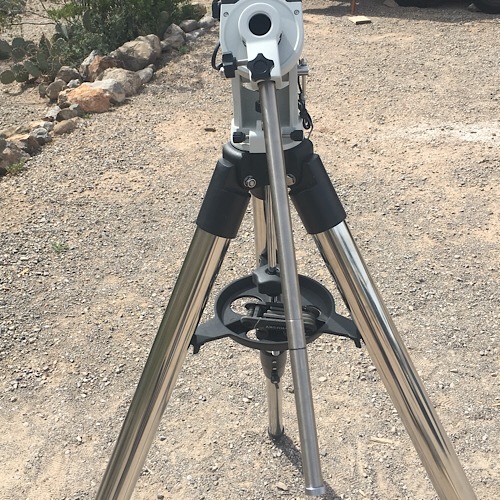 The unit is polar align as best one can get with the scope’s alignment sighting tool. Three days in a row after viewing, the next morning I dismount and check tripod verify still level. 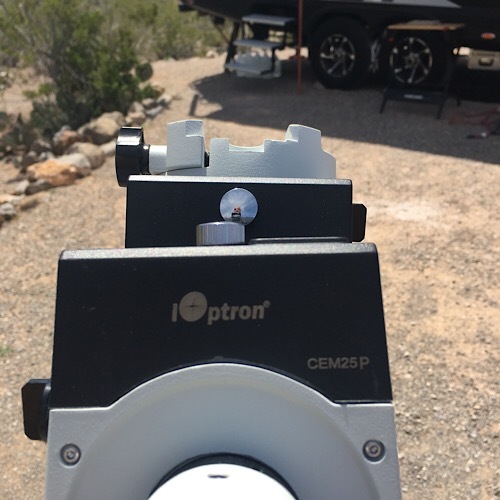 Each evening I check the polar alignment against Polar Scope Align Pro and am within a couple minutes of the previous night;working nearly sametime each night. I do ‘jiggle’ the system a bit as I replace the scope for each session. So here’s the issue. I also do a three-star alignment a few times each evening so about 8-9 times total with tripod in same place and polar alignment very consistent these nights, but after doing the three star alignment it has never successfully gone directly to any new target. Sometimes it won’t even go back to one of the three alignment stars. This just doesn’t seem right. It really isn’t much better then using setting circles old-school. Ideas? Some firmware needs to be reflashed? Something I’m missing in the post-factory setup? Once you find that 3rd star and it says it's aligned, slew off the star a bit. Then Navigate back. If it can't find it, you've got bigger issues that the company will have to sort out. If it can find the 3rd one again, but not one or both of the other 2...then the alignment itself is off and some troubleshooting should find the problem. I'd be checking that tripod level after the OTA and all cabling is installed. Is the ground soft? Possible that it's moving during the night? Don't trust the tripod's bubble level. Use your own. Also verify that the time, date & location are correct. GPS location is often entered incorrectly. hours, minutes & seconds or by decimal places. It varies and I don't know iOptron. You'll have to check. Incorrect time zone & daylight savings time are also common errors. A dead or dying battery can lead the system to 'forget' these settings sometimes. Verify that you're polar aligned on the NCP, not Polaris (it sounds like you are...just checking!) And confirm with star charts that the 3 alignment stars are correct. I'd also start off with a very wide eyepiece. I use a 40mm. As the mount has GPS I would be tempted to do a reset (handset) before you start to use it and force the mount/handset to reacquire the data anew. Should I suppose do that by default but as the process should be fairly rapid and automatic it would seem reasonable. As the GPS should supply all the location and time data, it would seem "difficult" for the data to be incorrect. However these systems seem to have a habit of maintaining old data and a reset is often the easiest solution. Check carefully the handset at startup as I assume that the handset displays for confirmation the data that it has obtained. Although that leads to the question of what to do if it appears incorrect. I'm a newbie with enough knowledge to cause myself a lot of problems. I have the same mount, I level it and zero it out. I feel you need to mark your zero position on the mount. Then I mount the OTA and zero out my scope again, then polar alinement if I can without anything blocking (Palm trees, they're going down one day), or use another star for my polar alinement (in the instructions which I always carry. It took me over hour at the beginning and now cut down to around 20 minutes, but I have when I spent the time to do it correctly it tracks great. I just need to practice and practice, but for me I thought this mount was so so, but I after I spent time reading and learning the mount it came all together. Just my humble thoughts, I had to add 7 inch extensions to weights which help a lot and got battery for unit instead of cord. Not a pro yet but now I have more time to do what I want, look at planets and stars. Thank you for all the responses. Sorry for my late reply. After four nights of work, the polar alignment is dead on. I shot a 3 minute exposure (no guide wcope) with no trails last session. The GPS has also been correct, but I’ll look at that battery issue. i do have AC when I’m working. I use a hand level, don’t even bother with the bubble. Checking it after each session it is correct the last fouple sessions. The ground is hard, no sinking possible. I start w/ 55 mm plossol and switch to reticle. The clock DID loose the time I set, but GPS coordinates are good. I will have to check those settings again to see if those are being lost between setups. I set them once and assumed they would stick. If ‘dorked’ again I’ll do the reset and examine battery issue in meantime. Maybe make a reset a standard practice. I was hoping to do nothing but 3 star checks this evening but it clouded up. Ya’ll are faster than iOptron. I haven’t heard from them at all. Edited by Bill001, 28 March 2019 - 10:19 PM. The clock DID loose the time I set, but GPS coordinates are good. I will have to check those settings again to see if those are being lost between setups. I set them once and assumed they would stick. I could half expect time to change, depends by how much - 2 options are that it takes the time and converts to UTC, in effect a change of several hours. The other is that it changes by a few minutes as it may take the time and convert to local time which varies by one hour every 15 degrees so 4 minutes every 1 degree from what I assume is your timezone line. Anyway time I can half see as changing - maybe. Unsure of the bit saying "I set them once and assumed they would stick." I presume that at every power up the scope requests new data from the GPS, or the GPS supplies new data. Either way "setting them" seems a bit wrong. Might just be my expectations of what it does or should do to my thinking. Part of the reason for a reset is on non-GPS it seems that when data is entered then internal data is determined and that this sometimes hangs around. The general method to "solve" this is to perform a reset. The other idea was that a reset would cause the system to get new fresh data. Maybe ask iOptron if a reset at regular intervals is a reasonable astion. Here's a far fetched thought. You mentioned that the clock was losing time. Maybe try changing the battery in the HC. Even though the unit is new who knows how long battery's have sitting around in a stock bin before factory installation. I change mine every spring. Found some things wrong. The hand control did loose the date and time today, and I forgot to get a battery while I was in town today. Pointing the iOptron polar-scope directing at Polaris I found the OTA is high, something like a tenth of a degree. Do people shim their dovetails? I’m think of getting a cheap feeler gauge and scavange its’ gauge blades til I fine the right size shim... shim the hind-end of the dovetail bolted to the tube body. 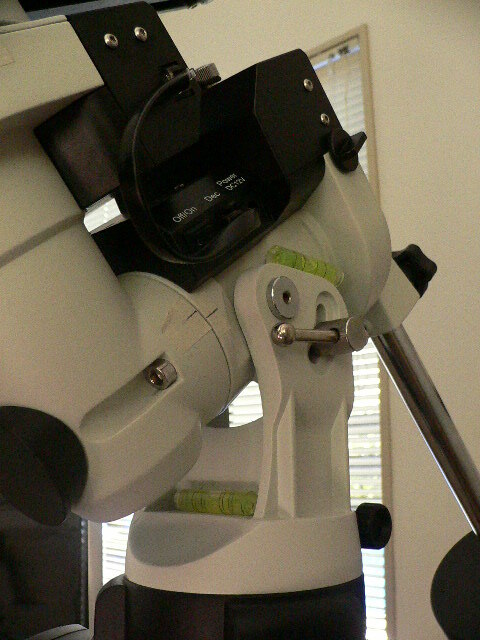 When the balance weight is directly plumb, the mount body was squed. They agreed it was wrong from factory and directed me to move the balance bar mount. see to photos of how far off the mount was. I am going to move this to the Mounts Forum as that would be a better place for exposure to experts on this. Hand controller battery is quite important to the ioptron mounts. Without it the GPS doesn't even lock correctly. As for the bar yeah that happens. I wouldn't worry about it unless it bugs you. The head is intrinsically unbalanced without a payload and counter weight anyways so the bar being off actually does not impact function. Edited by astronz59, 30 March 2019 - 09:28 PM. As I wrote above it is leveled with a hand level and second checked with other methods. The tripod is level. The mount did not truly level as per the discussion above. I think I mentioned it was set up closely enough at one point where I did an unguidec 3 minute exposure with round stara, but it’s still not right yet: issue with CW arm and dovetail needs to be shimmed. Edited by Bill001, 30 March 2019 - 10:17 PM. So the gear is straightening out. Got a new battery, the iOptron CW shaft is now plumb, I shimmed my OTA dovetail to be parallel to the mount and the pix below is an adhoc 5 min 30 sec image with no guiding scope. The camera is just piggy-back for this test. Edited by Bill001, 04 April 2019 - 11:31 PM.